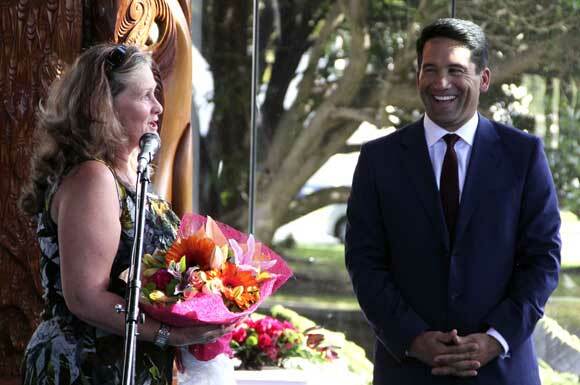 On Friday 28 March 2014, the council held a civic reception at Te Ahu for Kaitaia GP Dr Lance O'Sullivan, who was named Kiwibank New Zealander of the Year, to honour his achievements and the leadership he exemplifies. 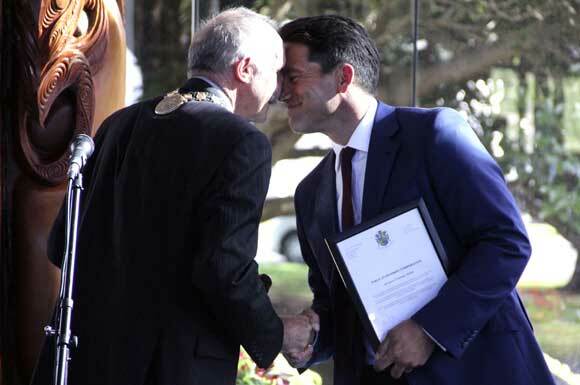 On 21/22 March, Leoni and I travelled to Invercargill, at the invitation of the Trustpower National Community Awards team, to support the Far North Regional winners - Ki-o-Rahi Akotanga Iho Inc, represented by Harko Brown and Rana Parata. 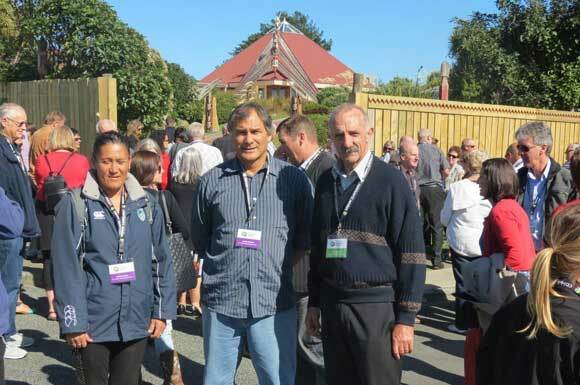 This photo is taken outside Te Rau Aroha Marae at Bluff (the southern-most Marae in NZ). We took part in the judging - all the finalists made a 10 minute presentation - but of course couldn't score our local winners! 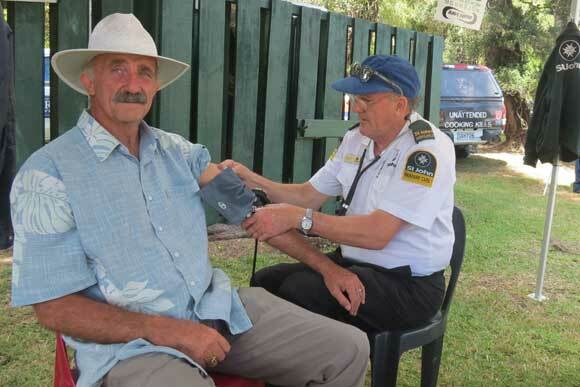 I'm at the 2014 Broadwood Show, getting a blood pressure check from St John's. 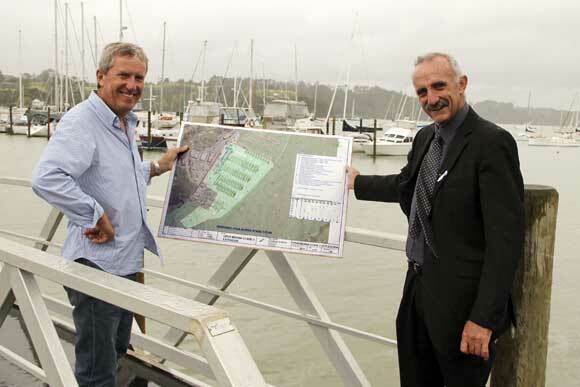 Here I am with Ross Blackman at Opua on Waitangi Day 2014 discussing the Opua Marina extension project. 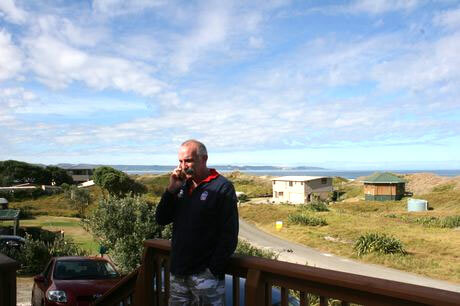 I'm working the phone at my home at Waipapakauri Ramp in February 2013 after announcing my candidacy for Mayor of the Far North District of New Zealand. 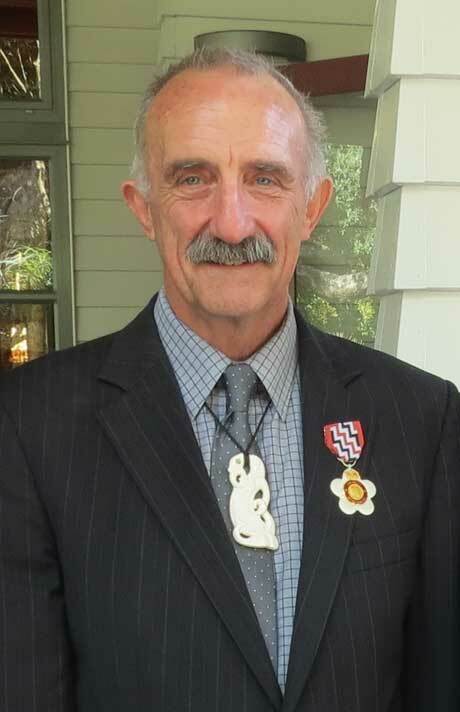 Here I am with my QSO medal presented by the Governor-General at my investiture. 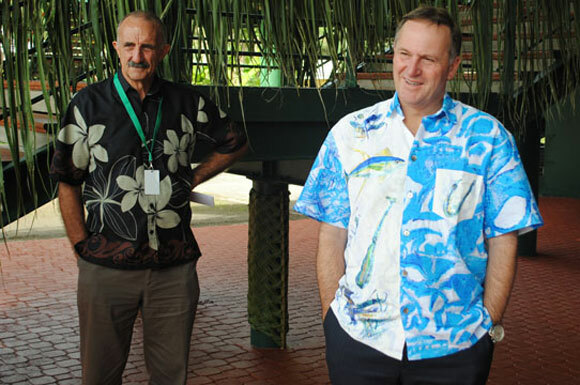 Here I am as New Zealand's High Commissioner to the Cook Islands with Prime Minister John Key during his visit to Rarotonga. 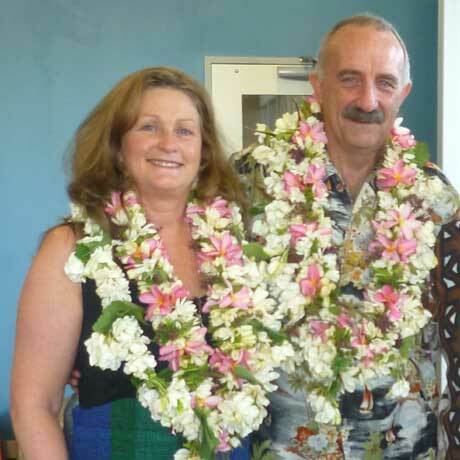 Leoni and I arrived in Rarotonga in July 2011 to take up my diplomatic post as the New Zealand High Commissioner to the Cook Islands. 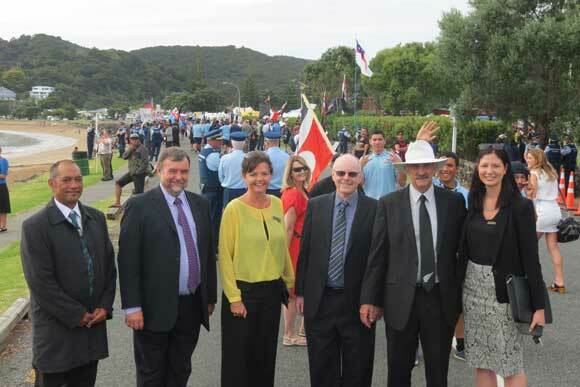 We had the perfect introduction to island life on Rarotonga when we were among the official guests at the Te Maeva Nui opening ceremony and float parade.